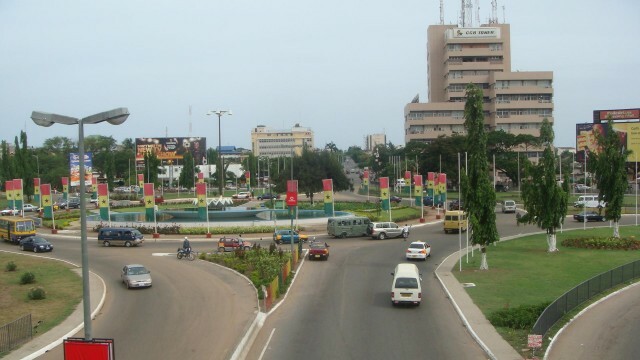 Accra, the capital of GHANA, lies on the Gulf of Guinea on the Gold Coast in West Africa. It is the commercial, educational, governmental, and cultural center of Ghana, the hub of the country’s road and rail system, and the site of the Kotoka International Airport. The population is over 1.6 million. The Portuguese, the first Europeans to visit the region, arrived in the early 1500s. They were followed in the 1600s by the Dutch and the British, who built two forts used in the SLAVE TRADE. The forts later grew into the city of Accra. Under the British, the city was the capital of the Gold Coast, which became Ghana in 1957. Present-day Accra is sharply divided into modern sectors and shantytowns.